“Russian and Syrian military have killed terrorists in the search area of the downed Russian Su-24 jet, the Russian Defense Ministry said on Thursday. “The moment our pilot was in safety the area was heavily bombed by the Russian Air Force and shelled by Syrian government forces artillery,” ministry spokesman General-Major Igor Konashenkov told a media briefing. 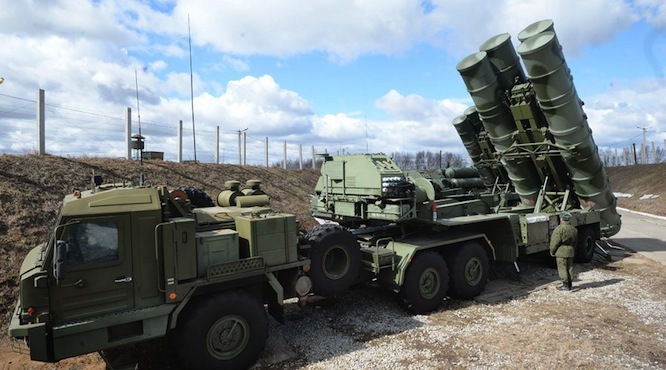 In Breaking News an hour ago Germany is withdrawing their anti-aircraft missiles from Turkey, along with British Patriot Missiles. President Erdogan of Turkey has exceeded all norms of international behavior and Identification of the Russian bomber in Syria. His lies about the shootdown have now been made clear to the world. Every radar in that region had every plane in the sky that day clearly visible on their radar screens, along with the identity of every plane in the skies that morning. I was an aircraft ground controller in USAF for four years, so I know personally that the version of events as told by Erdogan had to be a total lie, in his failed attempt to justify the illegal shootdown of the Russian bomber. The Suicide of Turkey is now entering the first phase, which will soon be accompanied by NATO unless there's a clear break with NATO on the immediate global-horizon. Turkey's behavior is making the participation of the U.S. meaningless because of U.S. inaction throughout the last two days: All of which makes clear the suicide that the US started by encouraging these events to occur in the first place. The US and Turkey are funding the terrorists that are trying to set the world on fire in the Middle East ­ of this there can no longer be any doubt. Turkey for its part has apparently overlooked the real damages' which Erdogan's recent actions will very soon convert into reality: This is all clearly explained in the RT segment cited above which leads directly to Turkey's smuggling of oil, antiquities, illegal-arms sales and the Turkish refuge for “the rogue Daesh fighters trying to undermine the efforts to form the international coalition to free Syria of terrorists. Erdogan's naked obsession to recreate the rebirth of the Ottoman Empire can now be clearly seen for what that is. Beyond that; his actions of yesterday clearly defines Turkey's willingness to destroy Turkey's trade in the region, combined with Turkey's desire for legitimate oil-futures with Russia, and others, along with the huge costs to state-tourism, and legitimate trade with Europe,that will all collapse once the world knows who's behind the invasion, from the undocumented roving bands in Europe. In fact Erdogan might well end up being lynched in the streets once the Turks discover that Turkey will very soon follow the same path that Greece was forced into. The cancer of radical Islam must be confronted and destroyed, if whatever remains of this world is to ever have any chance of surviving this global embrace of the Death Cult of Islamist Extremists, wherever the current day gatherings of Muslims and Zionists are still being accepted, as 'ordinary people', when nothing could ever be further from the truth. The world is facing major changes, given the events of the last two days: If we are to survive a great many things must happen now, because it seems very unlikely that such an opportunity will come this way again... anytime soon. What Did the Kurds Find in Islamic State Tunnels?